Buckinghamshire Advantage has been announced as the first organisation to receive support from the National Custom and Self Build Association’s (NaCSBA) newly implemented Right to Build Task Force. The expert Task Force was launched in February 2017 with the aim of helping Local Authorities, community groups and other organisations across the UK to deliver large, affordable custom and self build housing projects. Buckinghamshire Advantage, the operational arm of Buckinghamshire Thames Valley Local Enterprise Partnership (BTVLEP), is promoting the Aylesbury Woodlands site on behalf of several public and private sector landowners. Buckinghamshire Advantage’s aim is to create a high quality, distinctive new neighbourhood – comprising some 1,100 new homes – as part of a wider mixed use development to the east of Aylesbury. 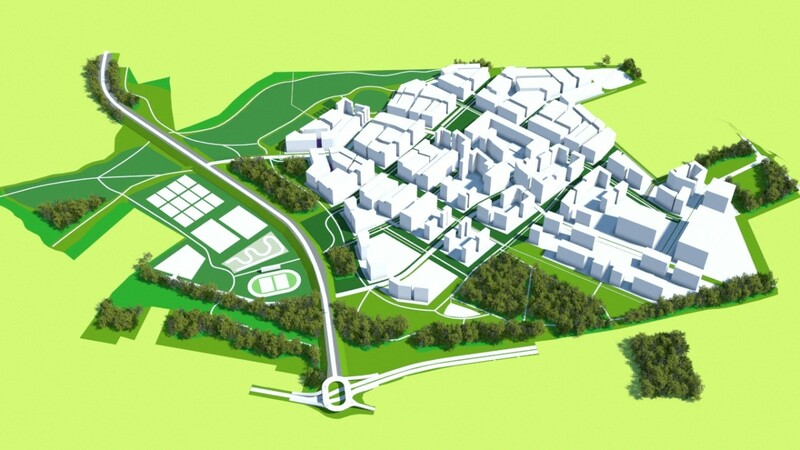 Aylesbury was chosen by the Government in January to become one of three new Garden Towns; the Woodlands development will deliver the main part of Aylesbury’s new Enterprise Zone. The Task Force will be working alongside Buckinghamshire Advantage to help to deliver a significant proportion of the 1,100 homes on a self and custom build basis. Richard Harrington, Chief Executive of BTVLEP, said: “Within Buckinghamshire Advantage’s 2016 planning application for the Aylesbury Woodlands site, we clearly signalled our intention to explore a significant custom and self build housing development. We are delighted to be working with the new Right to Build Task Force to help us identify the potential demand for custom and self build in Aylesbury and ways to meet that demand”. The expert Task Force was launched with the aim of helping at least 80 organisations to create significantly more affordable homes over the next three years. Michael Holmes, Chair of the National Custom and Self Build Association, commented: “With 18,000 people signing up to new Local Authority demand registers in just seven months last year, including over 2,800 people in the neighbouring borough of Cherwell, we believe there is significant potential for custom and self build housing in Aylesbury. The Task Force will be helping Buckinghamshire Advantage with the techniques to deliver custom and self-build by capitalising on both the UK and overseas experience of its experts”. The Task Force is funded by the Nationwide Foundation, which aims to increase the availability of decent affordable homes for people in housing need. The Task Force was recognised by the Government in its recently published White Paper Fixing our broken housing market and is being supported by a number of partners including the Building and Social Housing Foundation, National Housing Federation, Royal Institution of Chartered Surveyors and Royal Town Planning Institute. NaCSBA was formed in 2008 as a network of companies and individuals with the common aim of proving that custom and self-build housing can make a significant contribution to home building in the UK. NaCBSA’s objective is to make affordable, high quality, individually designed, sustainable homes an option for the many, not just the few. The Nationwide Foundation is a registered charity (number 1065552) and an independent funder of charitable causes. Its vision is for everyone in the UK to have access to a decent home which they can afford. TheBuckinghamshire Thames Valley Local Enterprise Partnership (BTVLEP) is a business-led ‘partnership of equals’ between local government and the private sector, building the conditions for sustainable economic growth in the county. This entry was posted in Latest News on 29th March 2017 by Richard Burton.